I have really enjoyed the world of podcasting the past year or so. I never realized how much fun and free content was out there. I listen while I'm driving kids around, working around the house or exercising. There have been many times I have told people I'm starting a podcast and they aren't even sure what that is, or how to listen to one. 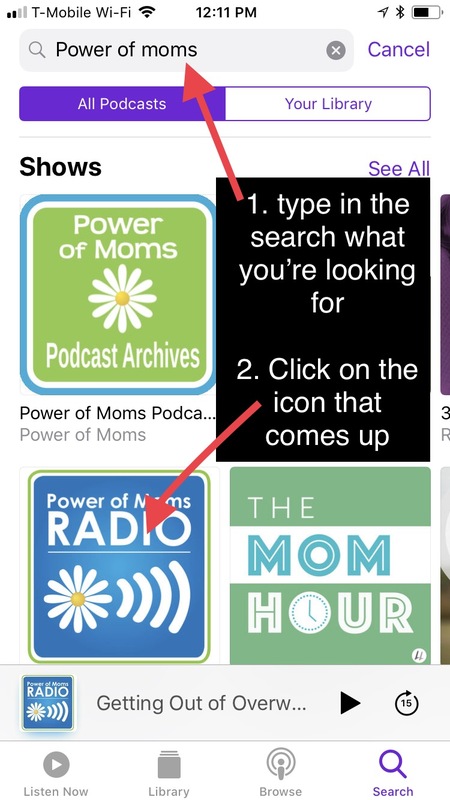 I'm so obsessed with podcasts, I want to make sure everyone knows how to listen to them! Here is a little tutorial to show you how if you're using an iPhone. I will have to check out my husband's phone to see if it is different on another operating system. Ok, so that is how you listen to a podcast. If you really like a podcast and don't want to miss any upcoming episodes, you want to subscribe to a podcast. Most of the time this is a free option. I never pay for a podcast. Ok!! Now you're all set!! Tell me, what are some of your favorite podcasts?? I'm always looking for new material!